We are here to help you with Life Insurance Approval with Polycystic Kidney Disease! We know it can be frustrating searching for a life insurance policy with a history of Polycystic Kidney Disease. The good news is there is hope. Can I Qualify for Life Insurance if I have Polycystic Kidney Disease? Yes, most individuals with Polycystic Kidney Disease will be able to qualify for traditional life insurance, the type of insurance which requires a medical exam. Best Case Scenario – Polycystic Kidney Disease is one of the most life threatening conditions whether for an adult or a child, so the best rating one can get is at “Medium Substandard”. If Polycystic Kidney Disease is of the autosomal recessive type, a child may already show some serious kidney damage before the age of 40 and may get an automatic decline. If it is, however, of the autosomal dominant type, and the case is diagnosed before the individual is less than 40, then the best rating of “Medium Substandard” may be applicable. 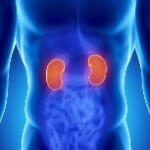 Provided, however, that there is no detectable renal impairement. If the individual is over 40 years of age, and shows normal kidney function, then it may also qualify for “Medium Substandard” health class. Click here for quote at “Medium Substandard”. Severe Case – There is no moderate case for Polycystic Kidney Disease being a very serious condition. So, the next rating applicable is at “Severe Substandard”. These cases are usually that of individuals who are above 40 years of age, with normal renal function, but with known MILD complications of liver cysts or heart valve prolapse. They may still qualify for “Severe Substandard” rating, provided, that the other medical conditions are well controlled. Click here for a quote at “Severe Substandard”. With severe cases of complications and those who are over 40 years old with impaired renal function, they will get an automatic decline. When were you diagnosed with Polycystic Kidney Disease? Polycystic Kidney Disease has 2 types and it is important to determine when the diagnosis of PKD was made. Early diagnosis in childhood is usually more serious because longevity of the condition without proper management will result to progressive kidney damage. 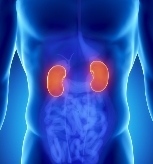 These cases may get an automatic decline if at age 40 there are signs of renal impairment. On the other hand, if the diagnosis was made before or after the age of 40, the renal function test, plus the diagnosis of complications to the liver or heart will determine whether a Medium Substandard, Severe Substandard or a decline is appropriate. Symptoms such as hematuria (blood in the urine), abdominal pain or frequent urinary tract infection may be signs of progressing kidney failure and may get an automatic “Severe Substandard” rating or even a decline. Are you taking medications for other health or medical conditions? The need for medications for heart conditions, lung complaints or liver disorders, may greatly affect your kidney function. This could mean a “Severe Substandard” rating or a decline depending on the severity of complications. Do you have regular check-ups with your nephrologist? Regular visit to your nephrologist is very vital because this will ensure that further kidney damage will be slowed down if not totally prevented. Your doctor’s evaluation will be very helpful in identifying the most appropriate rating for your condition. Have you had any relevant diagnostic tests in the past 6 months? A simple urine test for proteinuria and a kidney ultrasonography exam will you’re your renal function. If these tests will not be sufficient, further diagnostic or laboratory exams may be required to determine the appropriate rating. Have you made some lifestyle changes to prevent further complications? If you are still smoking, drinking alcohol, eating unhealthy or are living a very stressful life, these activities may speed up your kidney damage and result to irreversible renal failure. This will get you an automatic decline. Polycystic Kidney Disease is a genetic condition characterized by progressive growth of multiple fluid-filled cysts in one or both kidneys. These cysts cause massive enlargement of the kidneys that may result to chronic renal failure. There are 2 types of PKD: one is autosomal dominant polycystic kidney disease (ADPKD), which is commonly seen in adults, and autosomal recessive polycystic kidney disease (ARPKD), which is usually diagnosed in children. Symptoms of ADPKD include hematuria (blood in the urine), abdominal pain, frequent urinary tract infection, abdominal mass, cystic imaging studies, elevated blood levels of creatinine and BUN, and in most cases hypertension. ARPKD, on the other hand, may also present the same symptoms that usually appear after the first year of life. Growth retardation, increased urination and thirst may also be evident, which if not treated early may lead to end stage renal disease (ESRD) early in life. At birth, these children are found to have enlarged and cystic kidneys that often progresses to kidney function deterioration.